• See our new Teen Court Video Scroll down on our Teen Court page • See the SEA Life magazine feature story on the court. Judge Earnest E. Brown, Jr. Follow 6th Division Teen Court on Facebook. The Court has established a “Teen Court” for youthful first-time non-violent offenders in Jefferson and Lincoln Counties as an alternative to Circuit Court. If a youthful offender accepts the Teen Court option and completes all of the requirements of the program, his or her record is expunged of the offense. The record of the individual is as if the offense never occurred. This alternative will be made available only to individuals accused of minor offenses. Individuals accused of major offenses are not offered this alternative. Those cases are tried in Circuit Court. In one aspect, Teen Court is no different than Circuit Court – Teen Court holds juvenile offenders accountable for their actions. 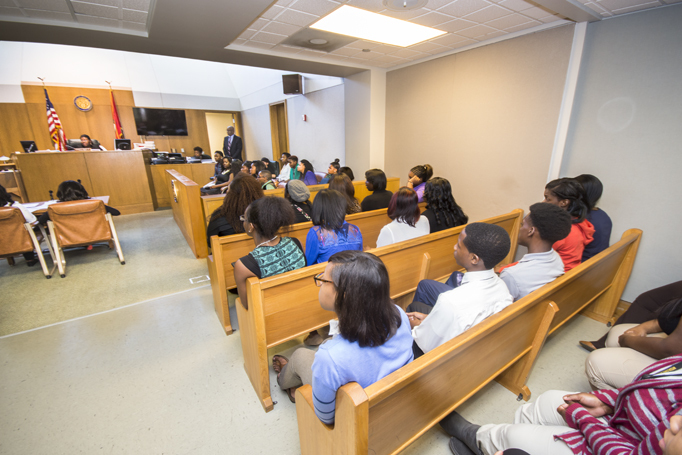 Teen Court, as a function of the 6th Division, is supervised by Judge Brown. From that point, Teen Court differs from Circuit Court. A volunteer local attorney presides as judge over Teen Court, but every other normal court position is filled by volunteer teenagers, including: prosecuting attorney, defense attorney, bailiff, clerk and jury. Licensed and practicing “shadow” attorneys are available to help their teenage counterparts as needed in preparation for and conduct of trials. The court distributes information to Jefferson and Lincoln County Schools seeking teenage volunteers who submit this application form to the court. The court then selects a pool of volunteers to fill the required Teen Court positions. 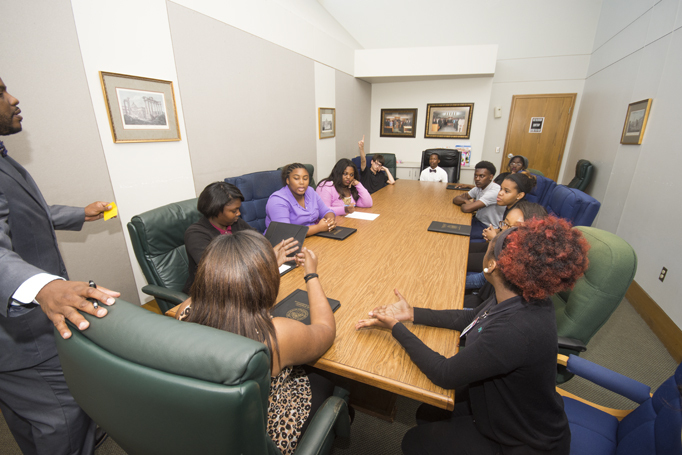 Teen Court volunteers go through an extensive training program and agree to serve for one year. During the year, volunteers rotate through court positions as much as possible. 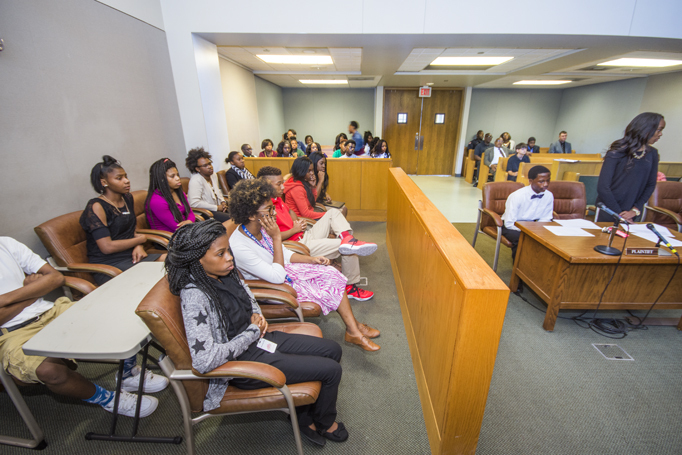 The Court is now accepting applications for Teen Court volunteers for the 2015-16 school year. Click here for a Jefferfson County Teen Court volunteer application. Click here for a Lincoln County Teen Court volunteer application. Decisions, verdicts, sentencing and orders of the Teen Court are binding and have the same stature as proceedings from normal Circuit Court. Individuals who fail to follow orders and sentencing imposed from teen court will be remanded to the Circuit Court for trial. 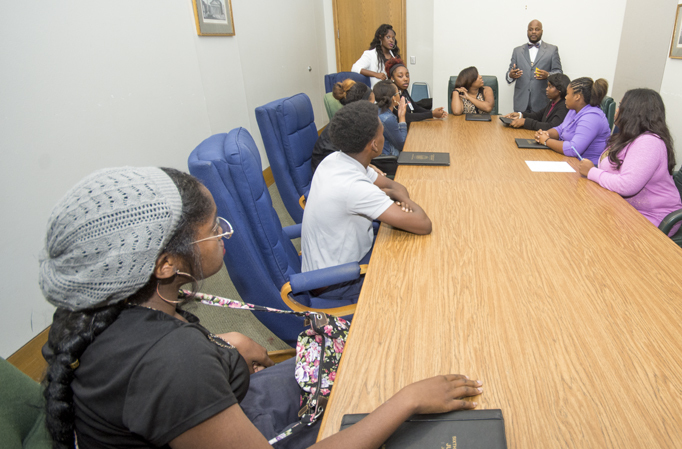 Teen Court programs were originated by the United States Department of Justice “Federal Youth Program” as a means of early intervention in and diversion. More than 1,300 other American communities have successfully established youth courts under these guidelines. Reports from these existing programs tell a story of success. Other Arkansas circuit courts offering teen court include Faulkner, Lonoke, Saline and Washington Counties. In virtually all instances, these innovative courts in Arkansas communities have achieved remarkable results in dealing with teenagers who have run afoul of the law. Participants in the program are much less likely to become repeat offenders. 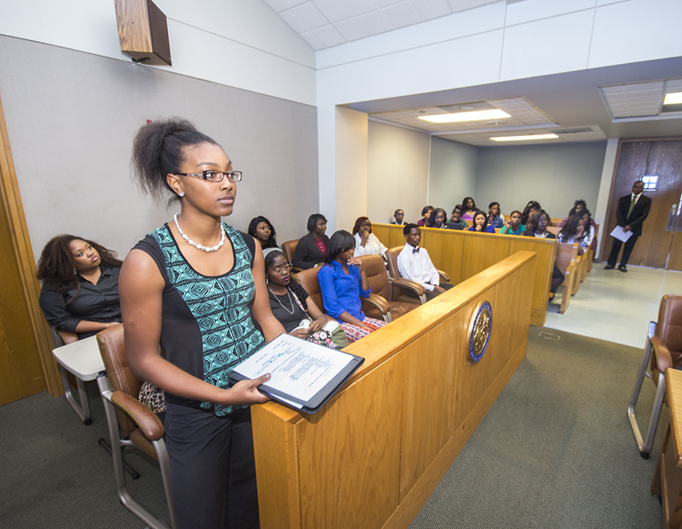 The teen court process begins when a young person is apprehended for violating the law. The individual is brought to the Jack Jones Juvenile Justice Center for booking. An intake officer of the court participates in the booking process. If the offense is not a felony, is non-violent and non-drug related, the intake officer may be offer option of having his or her case heard by teen court rather than traditional circuit court. If the individual accepts this option, he or she must admit guilt and sign a media waiver and a binding contract to participate in the program. Parents must also sign these documents. The individual is released to the custody of parents or guardians, the case is assigned to the teen court docket and the individual and parents or guardians are notified of the court date. The individual's sentence will be supervised by the 6th Division Court Staff. 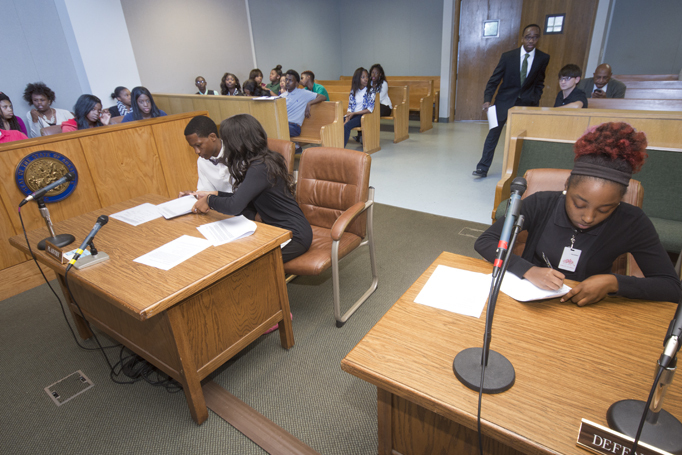 Teen volunteers fill all normal roles in Teen Court except for the judge which is a court-appointed local attorney. The Teen Court jury is composed of teens. 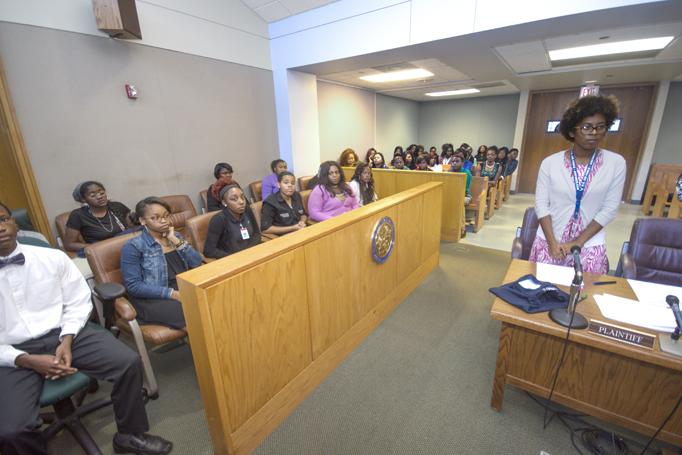 Teen Court attendees are teens and officials invited by the court. The Teen Court jury hears the case and retires to the jury room and elects a chair person with guidance from a court official. The Teen Court jury deliberates the evidence and facts of the case and reaches a sentencing decision. After deliberation and the decision, the jury returns to the Court room. When called on to do so by the Judge, the jury foreman reads the sentence imposed by the jury. 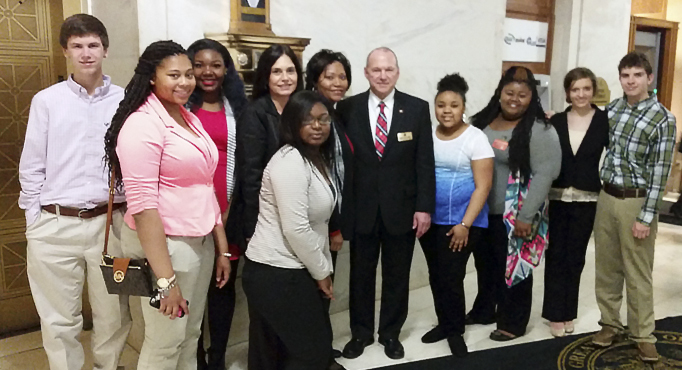 Teen Court staff and volunteers visit the state capitol with Governor Asa Hutchinson. 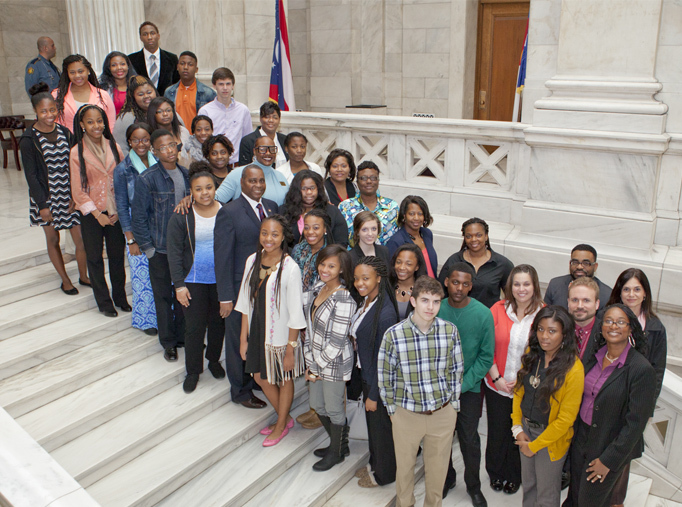 Teen Court staff and volunteers visit the state capitol with State Representatives Ken Ferguson and Vivian Flowers. Teen Court staff and volunteers visit with State Representative Mike Holcomb. 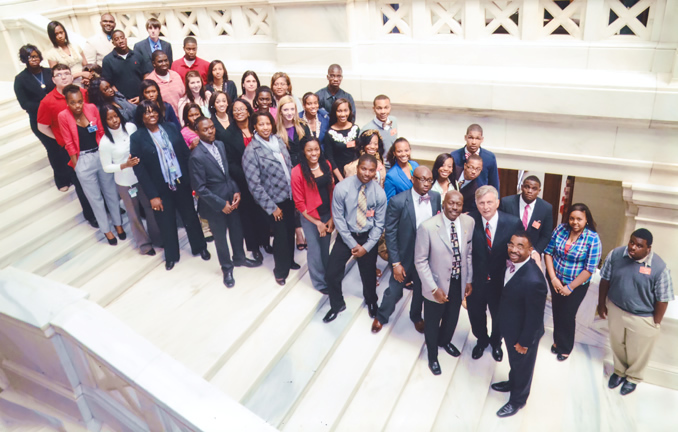 Teen Court volunteers at the State Capitol with former Governor Mike Beebe and former state Representative James Word. Teen Court volunteers and staff 2013-14. Teen Court volunteers and staff 2012-13.